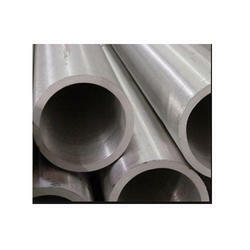 Manufacturer of a wide range of products which include stainless steel seamless pipe and stainless steel pipe. With firm commitment to quality, we are involved in manufacturing a flawless range of stainless steel seamless pipe. The offered stainless steel seamless pipe is known for its longer service life, to ensure the same, we manufacture these using optimum quality steel and other raw material, sourced from vendors of high repute. Available Length : As per Customer requirement, Maximum upto 22 Meter Long. Finishing : Tubes can be supplied in mechanical polished with various grits like at 80, 120, 240, 320, 400, 600 grit and mirror polished. 1/8” NB TO 8” NB SCH.5, 10, 40/S, 80/S, 160 Astm A-312 Its Equivalent Time, Din En Standard. 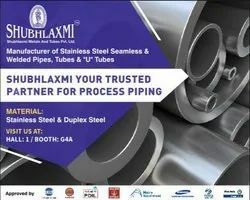 We are instrumental in offering our reputed clients with superior quality stainless steel pipes. Our offered stainless steel pipes are manufactured from high-grade sturdy steel as the raw material to ensure high performance and long term usage. Further, these pipes are widely used in chemical and petrochemical industries.